The Web 2.0 Blog Post Backlinks Package boosts your rankings. You get a backlinks from an article / blog post from a Web 2.0 site. This article is absolutely content related to your niche. Your article is generated by merging 10 articles from the web. So you get a completely new article. We spin paragraphs,sentences and words for each backlinks we create for you. To make sure each article and each backlinks gets noticed by Google we submit the article links to instantlinkindexer. The drip feed option of instantlinkindexer is automatically set to 10 days..
You can hand in unlimited URLs and keywords. This makes the Web 2.0 Blog Post Package extremely Panda- and Penguin-friendly. 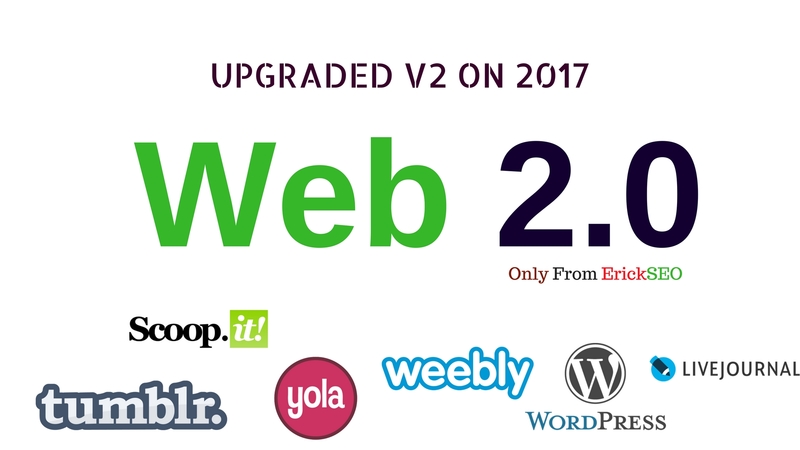 We use different Web 2.0 platforms to ensure a brilliant link mix. This can be a Wordpress, Blogger, Tumblr, Yola or Weebly system. Because we use manually spun articles. If you need handwritten articles, please order with service extras. Handmade 10 High DA 95-50 Web 2.0 Buffer Blog with Login, Unique Content and Image is ranked 5 out of 5. Based on 15 user reviews.